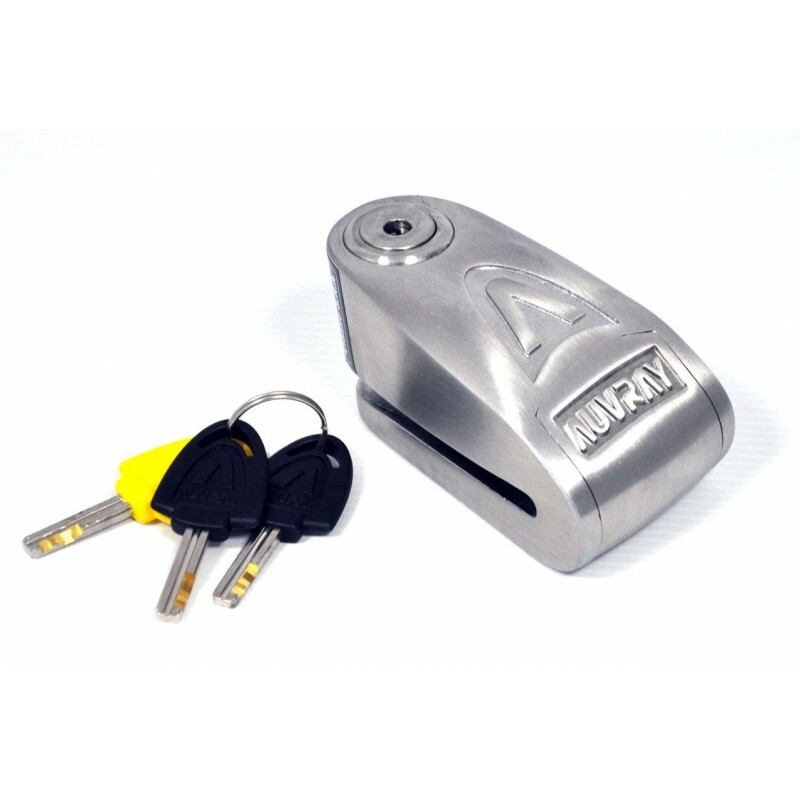 Disk Lock with anti-theft alarm by Auvray. With a 120db audible alarm and robust design, this lock has the SRA homologation. Comes with 3 keys and the battery.